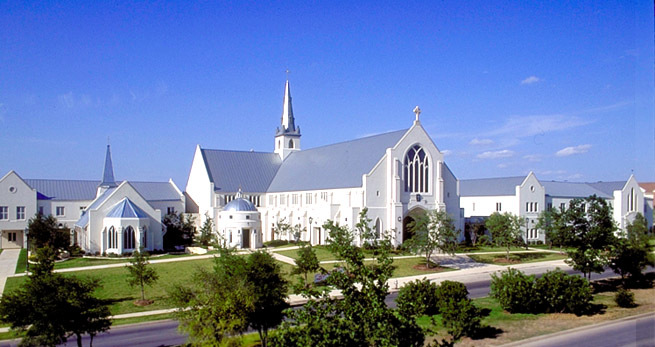 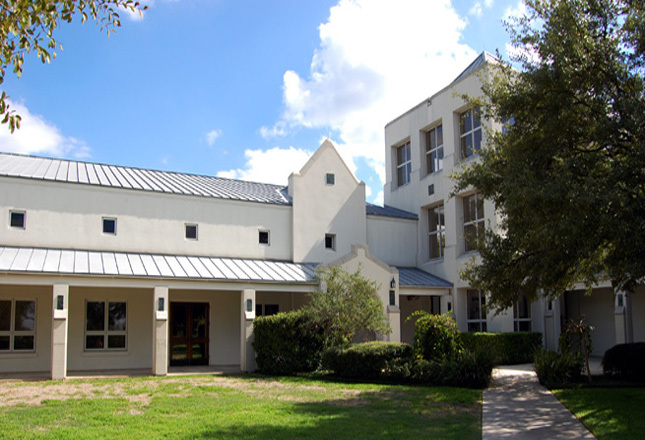 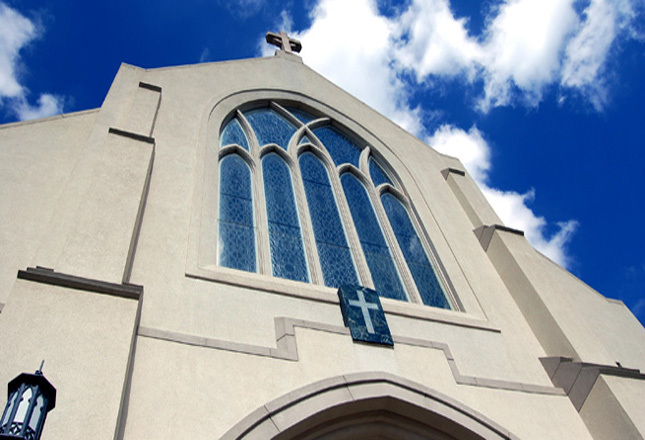 Alamo Heights United Methodist Church | Robey Architecture, Inc. 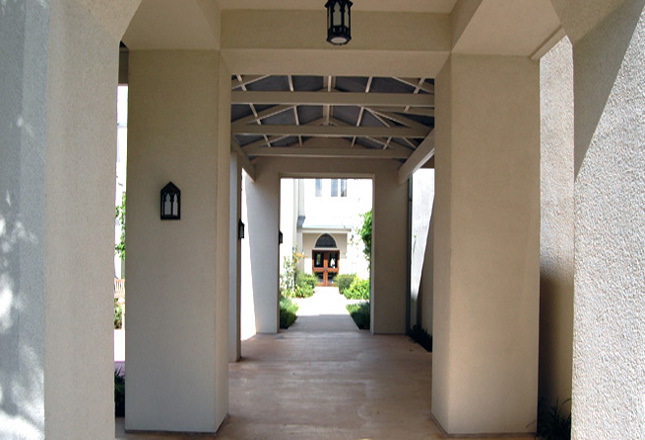 Located on a 13-acre site within a planned community development, the 86,000 sf facility uses a formal approach in its plan organization; the various functional areas were broken down into smaller buildings that revolve around the sanctuary and create different sized courtyards and open garden areas. 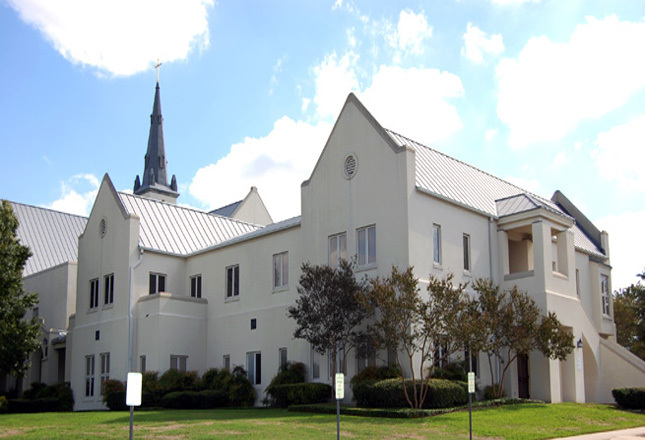 The church has essentially two main entrances, one symbolic and formal, the other practical, used by most of the congregation due to its proximity to the parking area. 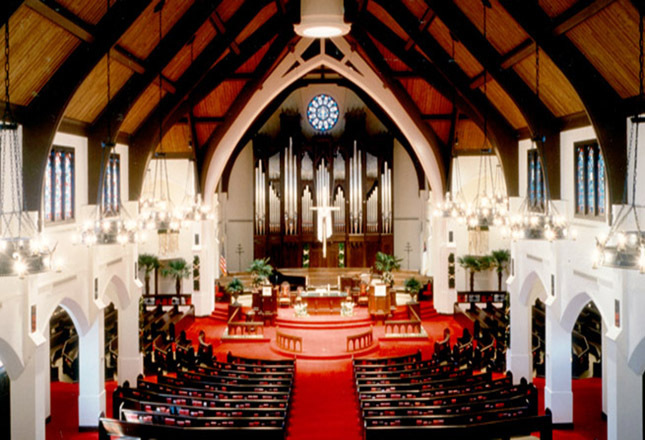 All the furnishings and chandeliers were designed by the architects, using a minimum number of materials that include cherry wood, green marble and wrought iron. 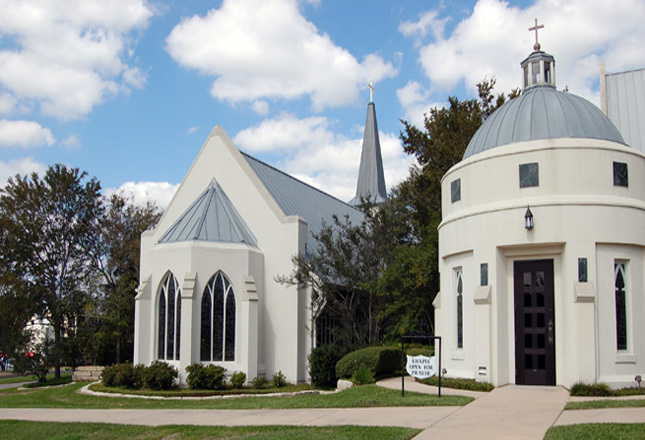 The sanctuary is topped by an oculus at the crossing that emits natural light from windows in the steeple above.